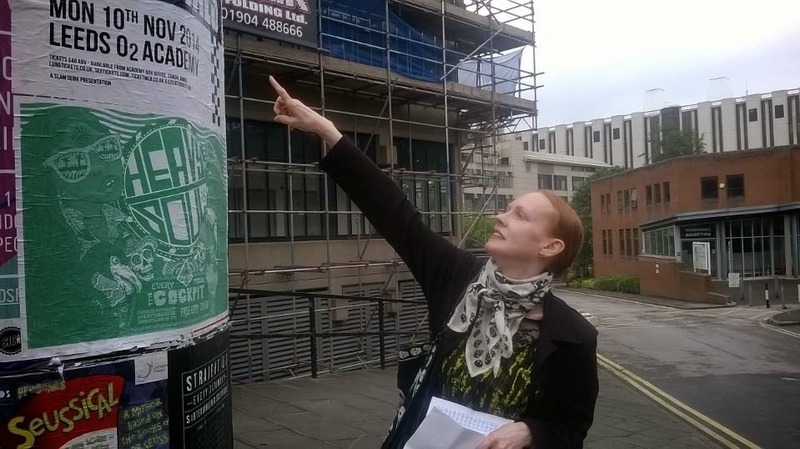 I had originally planned to do a series of blogs following on from my first blog on The New Psychogeography, but since then I’ve decided to make the whole final chapter of Walking Inside Out about the new psychogeography instead of turning these blogs into an article. The first blog sparked a lot of discussion online, a considerable amount of hits and, also, the related slides from the Huddersfield lecture, that this all stems from, has been downloaded a number of times on academia.edu. So instead, I am posting some of the original section on the new psychogeography from the first draft of the introduction to the book. 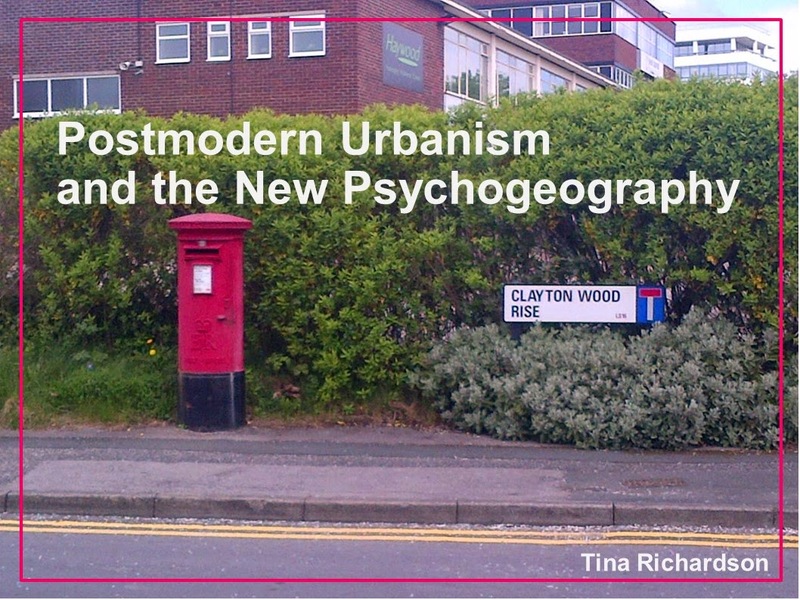 I’m afraid you will have to wait for the book to be published to see the full concluding chapter which will now be dedicated to ‘The New Psychogeography’. I really appreciate all the input and discussion, etc – thank you. In 2002 Iain Sinclair said of psychogeography that "the next step is to bury it completely! Let it go and let it re-emerge. I think it needs 15 years to gain some new energy, as I think this energy is rapidly running out" (cited in Pilkington and Baker 2002, 7). Since we are now fast-approaching the end of Sinclair's 15 year embargo, perhaps this is a salient moment to begin to discuss psychogeography again in a critical way, and take a serious look at the work being carried out in the field. I hope this text contributes to this discussion. At the same time I appreciate criticisms of the academisation of psychogeography might be levelled at this volume, but since I am oriented in academia and my field is psychogeography, it is impossible to do the work itself without being caught in this trap. Sinclair further comments on this problem when discussing the work Stewart Home did with the London Psychogeographical Association: “Stewart Home says that the LPA deliberately mystified and irrationalised their psychogeograhical ideas in order to prevent them from being academicised in the future. But they inevitably will be because Stewart himself is a sort of rogue academic, so it's self-contradictory in some ways. By doing it, it becomes part of this machinery in talks and interviews.” (cited in Pilkington and Baker 2002, 3). But, nevertheless, Sinclair is in praise of walking itself despite his concerns with the term psychogeography. One thing that many walkers are preoccupied with, from activists to The Ramblers, is not just the marginalisation of our public spaces, but the marginalisation of the very act of walking itself. As Sinclair says in an interview in the Ramblers own publication: "We're at the bottom of the food chain and the day will come when we'll have the equivalent of bike lanes: a narrow suicide strip chucked in among the traffic. We'll have to have ghost walkers, like the white ghost bikes you see to commemorate dead cyclists" (2012, 98). So, it seems, psychogeographers perhaps do have more in common than can be expressed in their differences. In The Art of Wandering: The Writer as Walker (2012) Merlin Coverley includes a chapter on ‘The Return of the Walker’. Situating the preceding 30 years within a literary tradition that is also reflected in the creative arts, he finishes his closing chapter with Nick Papadimitriou, whose rise in popularity followed Coverley’s previous book. 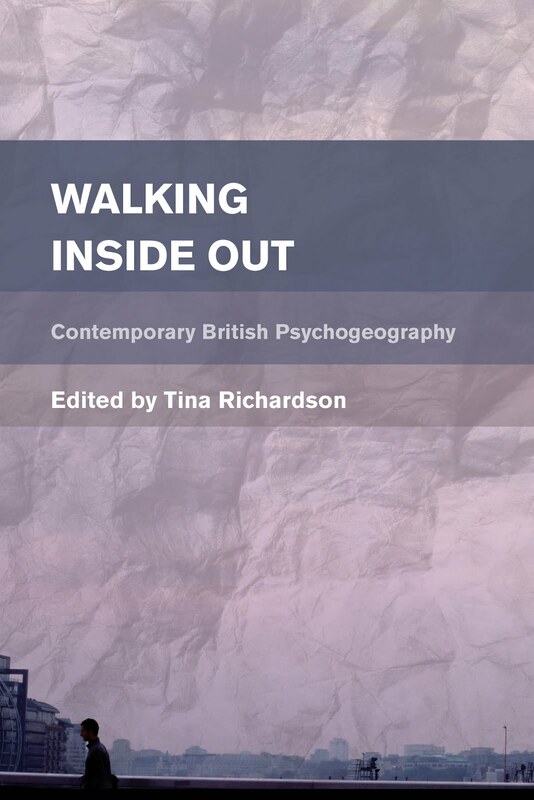 Walking Inside Out presents the work of some of the contemporary literary psychogeographers alongside those working in academia, thus bridging the gap which means these texts are commonly presented to different audiences, but also demonstrating the inherent value to academia of the ‘creative’ psychogeographical account. On May 1 2014 the BBC online news magazine published an article by Finlo Rohrer ‘The Slow Death of Purposeless Walking’, which is posed rather more as a question than a statement and alludes to the number of recently published books in the field. While his article was not about psychogeographer per se, it provided walking tips to the novice, some of which supported and some of which countered psychogeographical practices in the broadest sense. But despite this, it is an encouragement to walk and one of the tips that is common to ‘purposeless walking’ and psychogeography is to “walk mindfully” (Rohrer 2014). This mindfulness will be apparent from the chapters of the book. The beauty of the inexact art that is psychogeography, appearing in the innumerable forms that it has and continues to, attests to the durability and relevance of it still. It can be crafted, manipulated and even re-appropriated to suit your particular needs. It can be carried out fundamentally, creatively or ironically. And it can be picked up and put down like a handy tool that helps you metaphorically whittle away the parts of urban space of which you disapprove, rather like the SI did with their maps. 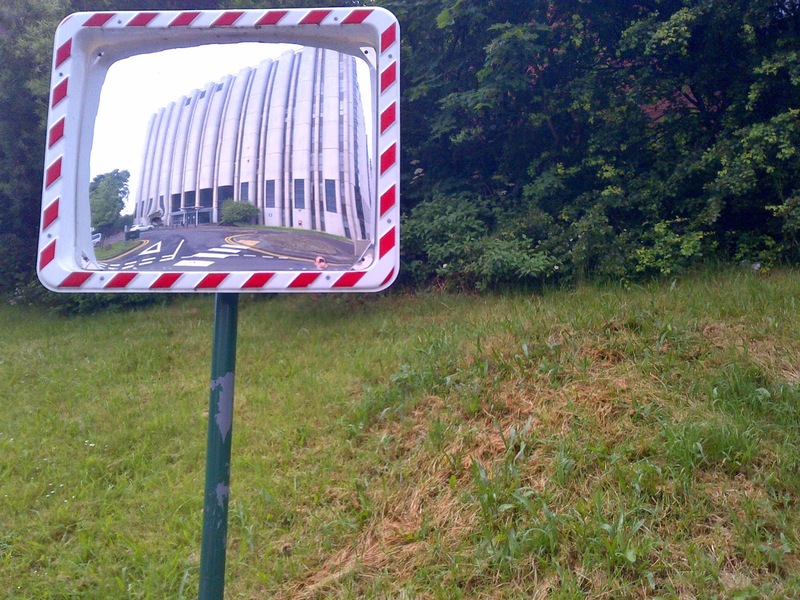 Psychogeography is continually being reworked, reflected upon and reimagined. It has the ability to absorb the urban space in which it occupies, situate itself socio-politically and creatively employ innumerable tools in order to express itself. Pilkington, Mark and Phil Baker. "City Brain." Fortean Times, 2002. Rohrer, Finlo. "The Slow Death of Purposeless Walking." In BBC News Magazine, 2014. Sinclair, Iain. "My Perfect Day: Iain Sinclair." Walk: Magazine of the Ramblers, 2012, 98. At the beginning of October I was kindly invited by Dr. Rowan Bailey to give a lecture to the Art, Design and Architecture MA students at the University of Huddersfield. 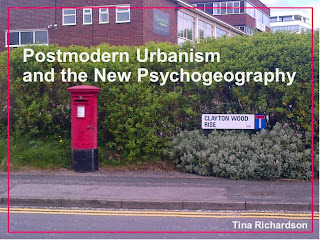 My spec involved incorporating psychogeography into theoretical approaches to the postmodern city and, in particular, my own research in this area. So I got to thinking more about a section in the upcoming edited volume that I’m working on – Walking Inside Out: Contemporary British Psychogeography – that I had entitled ‘The New Psychogeography’ and decided to include that in the title of the lecture: ‘Postmodern Urbanism and the New Psychogeography’ (if you want to see the lecture slides properly, it is better to download them than scroll through due to the animation). I realise this slide might seem prescriptive – hence my caveat – but it is difficult, in a deconstructionist way, to say what something is without saying what it isn’t, and vice versa. So I have tried not to set these themes up in a dialectical way i.e. not against each other in the table. Also, during the actual lecture I was able to qualify what these motifs represent more fully, which I intend to address in future blogs. So what I am actual doing here, rather, is throwing this out in order to spark some discussion, while working on this more fully in my ‘spare time’. I plan to turn this into a fully fleshed-out article at some point in the future. I’d just like to add, I don’t see this as a distinct break in any way, more a turn, a gentle movement towards something else. Also, my use of the term ‘post-Sinclairian’ is based on an email conversation I had with Iain Sinclair, so it is not a pejorative term levelled at him. I have a lot of respect for him and in the upcoming volume I describe as “the Godfather of contemporary psychogeography”. In our email exchange Sinclair said, and I paraphrase, ‘it is time for a young group of urban walkers to pick up the mantel of psychogeography and do something new with it’. This is not intended as a pretentious exercise that reflects the overblown aspirations of a ‘new psychogeographer’. It is meant as a way of reflecting a moment in time where some sort of cultural – and politically reflected (maybe) – shift is occurring in the field. 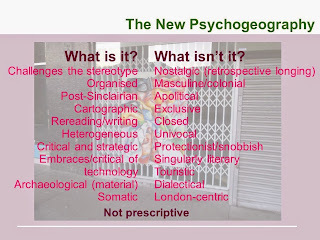 This is based on many conversations I have had with people over the past few years who believe there is a current resurgence of psychogeography – some were psychogeographers and some were not. And, since I am originally a cultural theorist, I understand that these ‘moments’ have reasons for coming into being when they do and this means they can be analysed contextually. In order to do that we need to recognise it and label it in some way so that we can discuss it, even if that labelling sits uncomfortably within psychogeography itself. 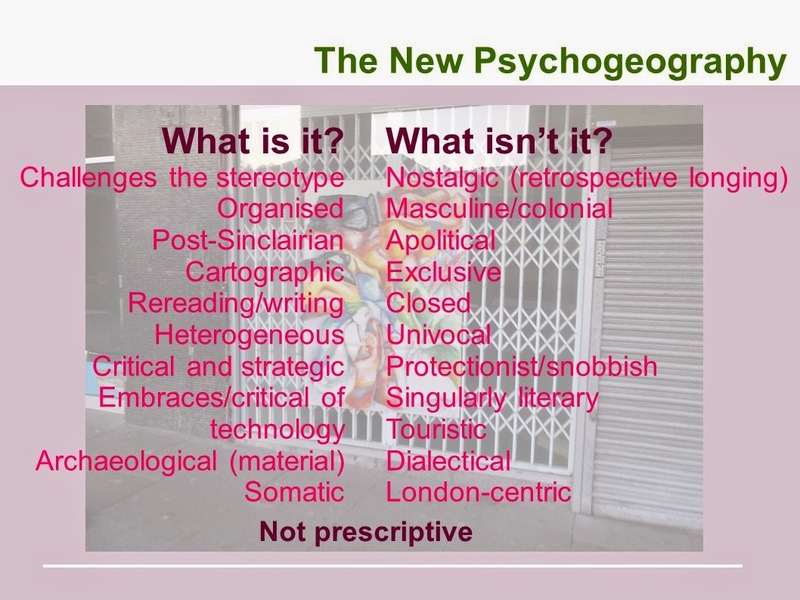 Why the name ‘the new psychogeography’? Does naming it go against what psychogeography is? 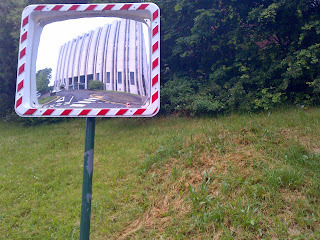 What about the issue of the academicisation of psychogeography? While I’m a psychogeographer and female, I don’t classify myself as a feminist psychogeographer per se. This doesn’t mean I don’t carry out a feminist psychogeography but rather that I don’t use feminist theory directly in the analysis of my practice or the urban spaces I explore. It is my intention to address this at some point in the future (and I have been thinking about looking at in relation to ‘dress’ and/or ‘safety’). 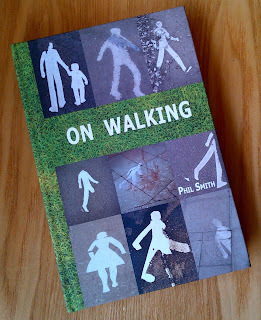 However, in the meantime I would like to draw your attention to Phil Smith’s latest book On Walking...and Stalking Sebald (Triarchy Press 2014) and his chapter ‘Women and Walking’. Smith opens ‘Women and Walking’ with this quote: “This is the big one around walking – so obvious and banal. And out of it and around it and if we grasp the centrality of it, then everything else can come from it” (p.160). This reminds me of the opening of my undergraduate module on deconstruction where the lecturer said, and I paraphrase: “All binary oppositions ultimately originate from female/male”. Therefore, understanding this dichotomy/dialectic is a fundamental one which helps explain how other work – which is what Smith is also saying about women and walking. Smith’s chapter is very sympathetic to the woman walker, but not patronising. His experience of walking with hundreds of different people enable him to consider how space, and the culture and powers that influence it, operate on individuals. He quotes Dee Heddon and Cathy Turner’s essay ‘Walking Women: Shifting the Tales and Scales of Mobility’ where they discuss the absence of the female psychogeographer in postmodern urban space. He challenges this by citing a number of contemporary women psychogeographers, including myself and Morag Rose. However, he acknowledges that urban space has historically been the domain of the male, even though a shift is now occurring towards a feminist psychogeography. Smith concludes: “Walking needs to put its own house in order, identifying those gross prejudices that it has inherited from its romantic traditions [and] until women are free to walk wherever they choose and without fear, any so-called ‘high enjoyment of going on a journey’ [Robert Cortes Holliday] will continue to be a reactionary illusion, a fluid prison in which some are more stuck than others” (p.164).